The Affordable Care Act (ACA) is complex and complying with the law’s Employer Mandate can be challenging for organizations. Under the ACA’s Employer Mandate, Applicable Large Employers (ALEs), organizations with 50 or more full-time employees and full-time equivalent employees, are required to offer Minimum Essential Coverage (MEC) to at least 95% of their full-time workforce (and their dependents) whereby such coverage meets Minimum Value (MV) and is affordable for the employee or be subject to IRS 4980H penalties. With the IRS issuing million-dollar 4980H penalty assessments in Letter 226J, now more than ever, ALEs should review their ACA compliance process and previous years’ IRS filings. 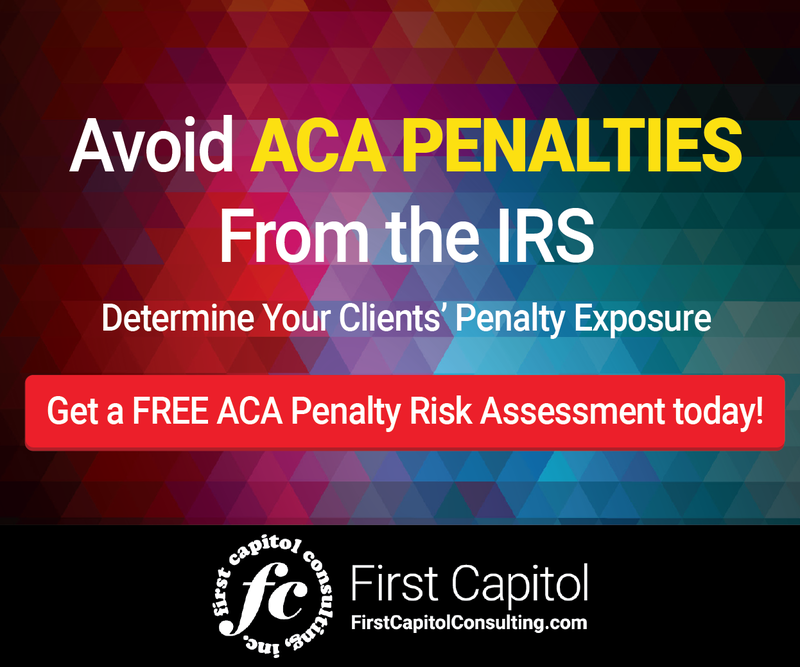 A penalty risk assessment requires methodology that will calculate a total penalty exposure amount in the same way the IRS should. For instance, analyzing the previous years’ ACA 1094-C and 1095-Cs will help verify the accuracy of full-time counts over a 12-month period. A review of IRS code combinations on the 1095-Cs can be assessed to identify which employees pose a 4980H penalty risk. In addition, the potential 6721/6722 penalty exposure also can be determined. If the code combinations on a particular 1095-C are nonsensical, a $260 penalty per schedule can be assessed for submitting “non-accurate” filings. An example would be if there is a code 1H (No Offer) on Line 14 for all 12 months and a 2G (FPL Safe Harbor) on Line 16. Not only does this not make sense because a Safe Harbor cannot be claimed when no offer of coverage is extended (subjecting you to a 6721/6722 penalty for inaccurate filing), but it also subjects your organization to potential 4980H(a) penalty for failing to offer coverage to a full-time employee. Reviewing the data submitted in your ACA filings will help to identify errors in the submission. Errors such as a disconnect between the total number of 1095-Cs and the count listed on 1094-C, incorrect EINs, and incorrect 4980H Transition Relief and Minimum Essential Coverage indicators should be checked. In the event these types of mistakes are present, they can be corrected. A well-done penalty risk assessment will allow your organization to make corrections to previous years’ filings before being issued a Letter 226J by the IRS. Making changes to identified errors in your 1095-C filings, such as offer of coverage coding, relevant dependent listing, affordability coding, and full-time count, can be submitted to the IRS as part of a corrected filing. Corrected filings sent before receiving a Letter 226J mean less penalty exposure for your organization. This comes with the territory of identifying your previous ACA compliance mistakes. Once you have identified and fixed previous mistakes, review your current ACA compliance process to determine if there is a need to implement new practices, educate old and new staff on their ACA compliance responsibilities, and create a better, more efficient process moving forward. Practices such as extending offers of coverage, benefits structure, proper implementation of the right IRS approved measurement method, affordability determination, and tracking offers of coverage are just a few things to consider. Making improvements to your current process will reduce the risk of receiving Letter 226J in the future. By correcting the full-time count, coding on the 1095-C schedules, and implementing a better process for ACA compliance, there is less risk for your organization, more savings, and peace of mind knowing that your ACA process has been handled effectively. If you are not confident in conducting a penalty risk assessment on your own, consider working with an outside expert with experience in conducting these assessments. Many vendors will undertake this assessment at no cost to your organization. 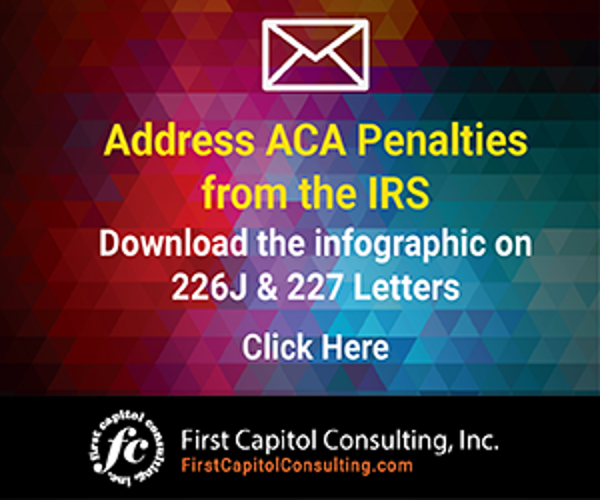 With the IRS issuing over 30,000 Letter 226J penalty assessments totaling $4.4 billion to employers identified as not complying with ACA for the 2015 reporting year alone, and with 2016 penalty assessments right around the corner, organizations may want to consider undertaking a penalty risk assessment to determine their ACA penalty exposure. Organizations should consider having an ACA Penalty Risk Assessment performed for their previous years’ ACA filings.